The articles have been written by social workers trained in the group approach from the United States, Canada, England, Australia, Spain and Japan, and all involved are well known group workers, acknowledged as experts in the area. 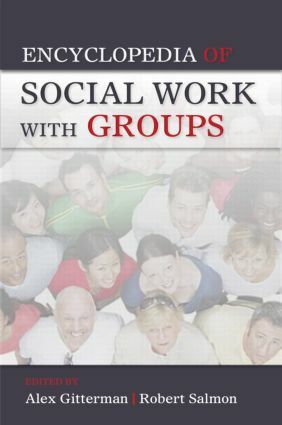 The book covers all aspects of social work with groups: including its history, values, major models, approaches and methods, education, research, journals, phases of development, working with specific populations and ages, plus many more. Each article includes references which can be a major resource for future exploration in the particular subject area. Both editors have many years of productive work in group work practice and other areas and are board members of The Association for the Advancement of Social Work with Groups. The Encyclopedia of Social Work with Groups will be of interest to students, practitioners, social work faculty, novice and experienced group workers.